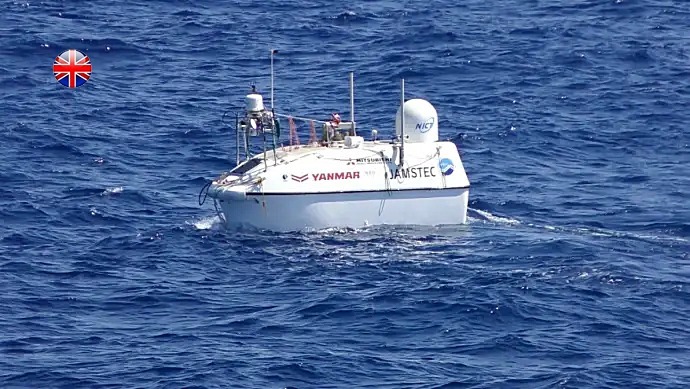 Yanmar has undertaken development of underlying technologies for robotic boats and auto-docking, technologies that are expected to see service in operations in dangerous waters, maritime surveys, or smart fisheries. While development of autonomous vehicles for the road and the farm continues apace, maritime robotics technologies have yet to become established. 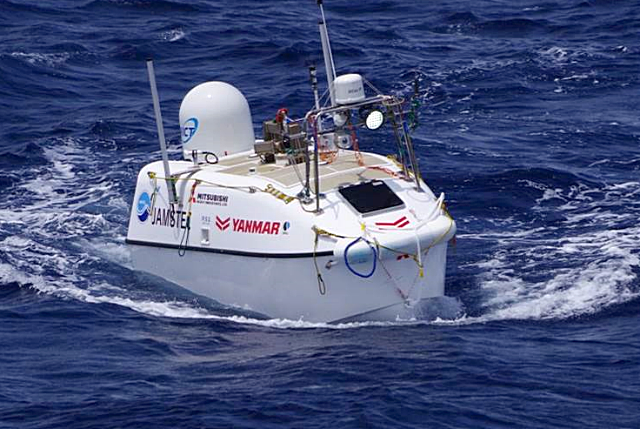 With long established track record of R&D in various fields of robotics and IT, Yanmar has been working to meld the hardware side of its boatbuilding and recreational marine domains with basic development of underlying IT and robotics technologies, towards robotic boat technologies that can be used in the marine surveys and infrastructure inspection. The Robotic Boat demonstration vehicle developed by Yanmar utilizes Yanmar’s expertise in Fiber Reinforced Plastic (FRP) to realize a compact, low cost manufacturing processes. In addition, by implementing a platform that utilizes middleware, a system was created that can address various needs. The demonstration boat was developed under the Strategic Innovation Program for next generation technology for oceanic resources exploration※1 and will be operated as an Autonomous Surface Vehicle by the Japan Agency for Marine Earth Science and Technology for continuous marine resources monitoring. Future activities will involve further marine testing with universities and research institutes, and expansion of the program to commercial use by industry. In addition, the autonomous piloting technology involved in the robotic boat was developed into an auto-docking system that can be integrated into fishing vessels or marine pleasure craft. 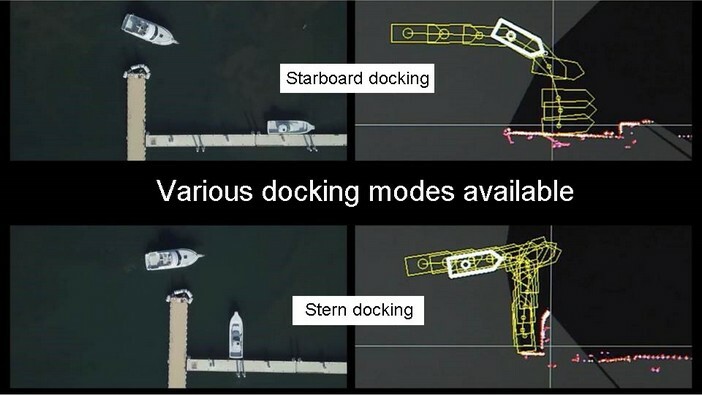 This technology is not destined just for commercial vessels, but may be integrated into Yanmar vessels to reduce the hassle of docking and make boating a more enjoyable experience. Utilizing a middleware platform means that various modules can be integrated into the platform customizing the technology to meet the needs of the various business and research users. By implementing a common platform for Yanmar’s robotics technology on the land, at seam and in the city, product development times can be reduced. Furthermore, by utilizing Yanmar’s expertise in FRP design, Yanmar has built a stable vessel that can right itself after being overturned in rough seas. Under the Strategic Innovation Program (SIP), the Japan Agency for Marine Earth Science and Technology, will operate the robotic boat as an autonomous surface vehicle for continuous monitoring of the Future Autonomous Underwater Vehicle system. Auto-docking technology is part of the autonomous navigation system. The system utilizes RTK- GNSS※2 which takes satellite positioning technology together with corrective data from Yanmar’s proprietary digital repeater system to provide highly precise positioning data to accurately direct the boat into the designated dock or location. 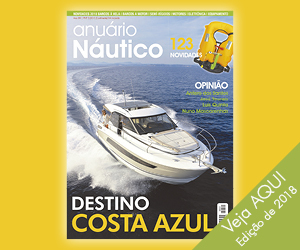 This eliminates the need for the boats operator to be engaged in the difficult and troublesome operation of docking the boat, making recreational marine an even more enjoyable retreat. The technology is to be applied not just to commercial vessels, but also to Yanmar’s recreational marine and fishing vessels in Japan, with deployment commencing after 2020. Research into core robotic boat technology is ongoing. ※1　Strategic Innovation Program (SIP): SIP is a Cabinet office program in support of strategic innovation. One topic of investigation by the SIP is: “Next generation marine resource monitoring technology” which is administered by the Japan Agency for Marine Earth Science and Technology (JAMSTEC）. ※2 RTK-GNSS RTK（Real Time Kinematic）sends precise data positioning information from a known point to the vessel by mobile phone or by wireless communication, providing real-time positioning. GNSS (Global Navigation Satellite System), GPS and GLONASS are general names for global positioning systems. Users can also optionally utilize a base station to further improve positioning accuracy.